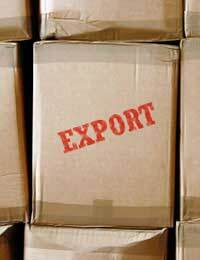 Exporting considerations and your business type will go hand in hand. For some businesses exporting is just not a feasible option while for others it will be something to consider. However, thanks to the advent of the internet the trading world has become a smaller place, and if it is a feasible option then exporting could be a money maker. Some smaller businesses will not consider exporting as it either seems too much trouble or they think it is only something that big businesses do. A number of small businesses do market and export their products abroad and it can make a significant difference to profits. A successful company will look at all the ways to promote their products and exporting is a way to market a company on a global scale. The internet is making a significant difference in company promotion, and proactive companies will exploit this technology to their advantage. The internet has reduced much of the cost of marketing, advertising, and selling products. Using this type of technology will mean that you are reaching consumers on a global scale. Online technology will allow you to contact companies and customers around the world who may be interested in buying your products. It does not cost much to implement this technology and your company probably already uses it for other business requirements. It is simply a matter of using the technology to its full potential to boost your products and profits. The internet has significantly reduced communication costs and significantly increased the amount of teleworkers. Your company can now have employees based anywhere in the world thanks to online technology and this is a consideration if you are going to export your products. Having business contacts in other countries will help you if you are thinking of selling your products abroad. There may also be points of sale abroad such as stores that can stock your product. It will be useful to have a contact abroad and this is where teleworkers can help you as a way into certain countries. Of course there will be some disadvantages to exporting products abroad. These disadvantages may come in the form of red tape and paperwork, the economy in certain countries causing fluctuations in currency exchange, and simple issues such as language problems. You will also have to deal with customer credit issues, the initial extra work involved in the process and the extra productivity levels. Seeking advice from a business consultant may be the best way to weigh up all the pros and cons when considering exporting. Exchange rates will play a big part if you are deciding to sell your goods overseas. You will need to decide whether or not to use your home market currency or another widely accepted currency such as dollars. Be aware that if you do use a different currency then you are leaving your company open to currency fluctuations. A downturn in a country’s economy could mean the currency plummets and you will be leaving yourself open to the risk of losing money. Banks will be able to give the best advice on currency rates and selling goods abroad. There is a large amount of red tape that comes with selling goods abroad and advice should be taken from agencies such as the Department of Trade and Industry (Dti). There are certain stipulations over the products that can be sold abroad and which countries they can be exported to. Help and advice on selling goods abroad including promoting your company abroad can also be provided by the Dti.